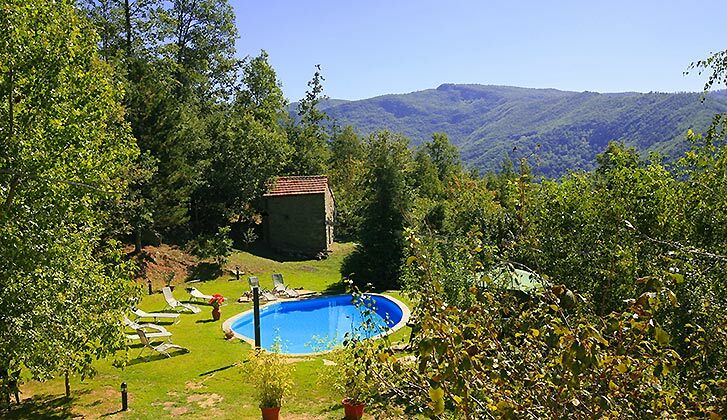 Casa Camaldoli is a free standing Villa with a large fenced in garden from where you can enjoy the breath taking views above the green hills of Tuscany. 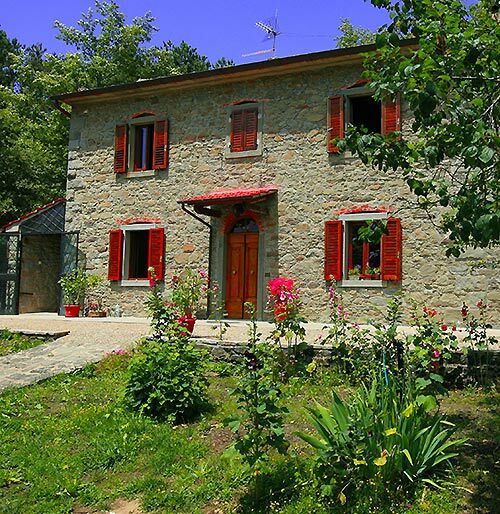 This property is perfect for 2 families with children travelling together or a group of friends looking for a quiet and comfortable place, for relax under the Tuscan sun. 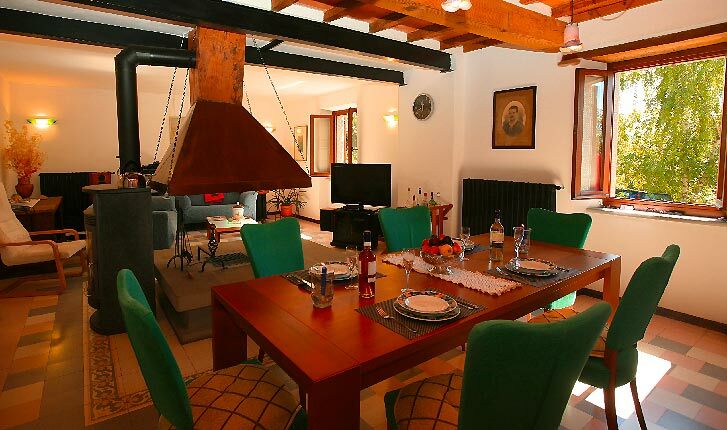 On the ground floor there is a large living room with opened fireplace, a dining area with table for 10 people and a completely furnished kitchen. 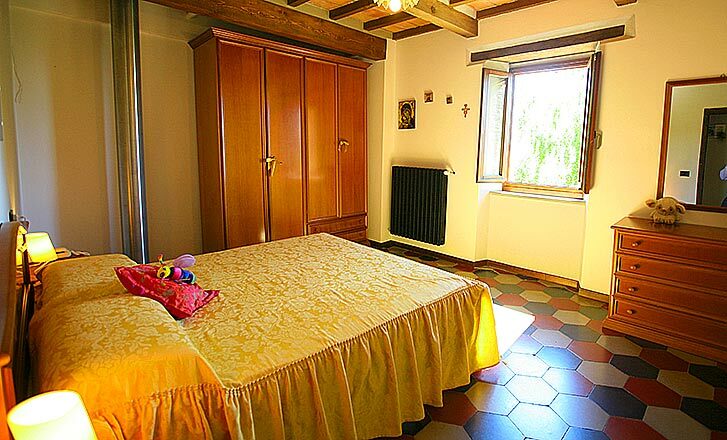 Moreover, you will find on the ground floor a double bedroom with its own bathroom. 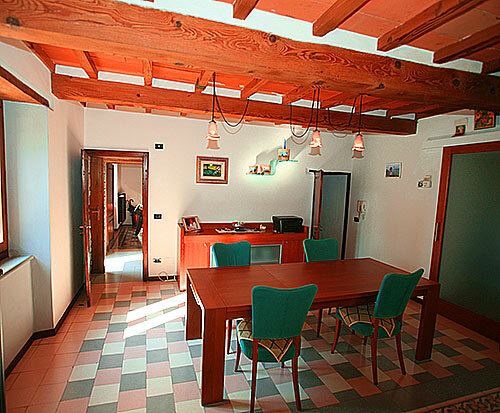 On the first floor, there are 3 bedrooms: 2 with double beds and the other one with single beds. 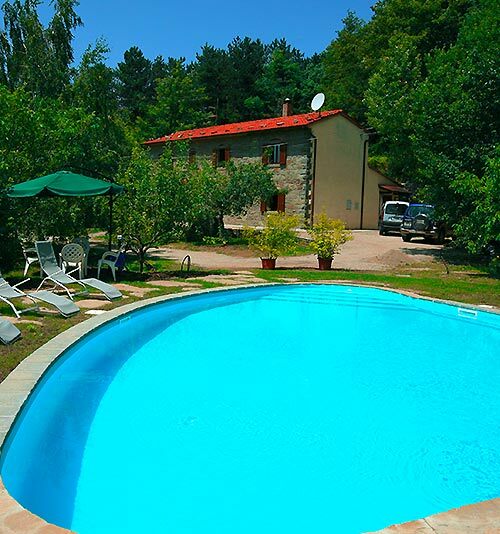 The swimming pool is just 15 meters distant from the Villa. 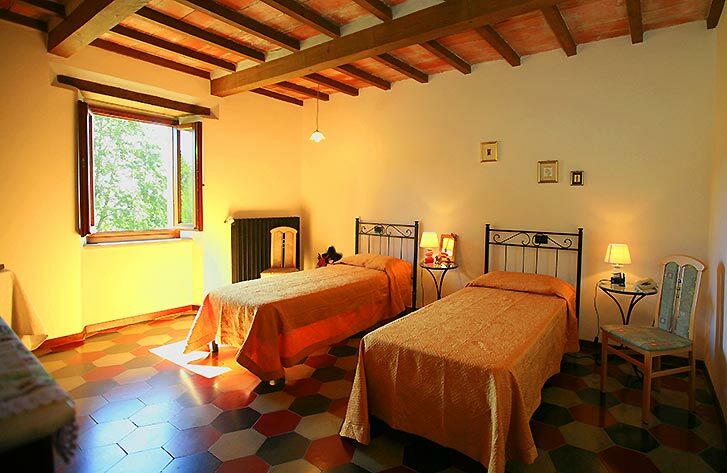 The peculiarity of Casa Camaldoli is the well groomed garden, decorated with old trees and many colorfull, flowering bushes and flowers, which gives to the property that extra specialty. 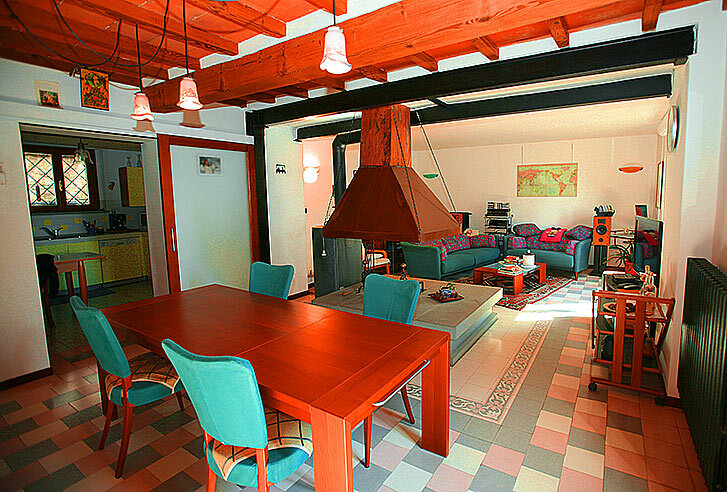 On the ground floor there is a large dining area where you will see the imposing fireplace, which divides the large room in two areas: in the back area there are 2 comfortable Sofas as well as LCD flat screen TV, broadcasting German and English programs. Here there is also a top Hi-Fi Stereo sytem with CD, so that music listening will be a real pleasure. In the front area, there is the extractable table sufficient for the entire group. Outside the Villa you will find a covered terrace with tables and chairs, perfect for meals al fresco. 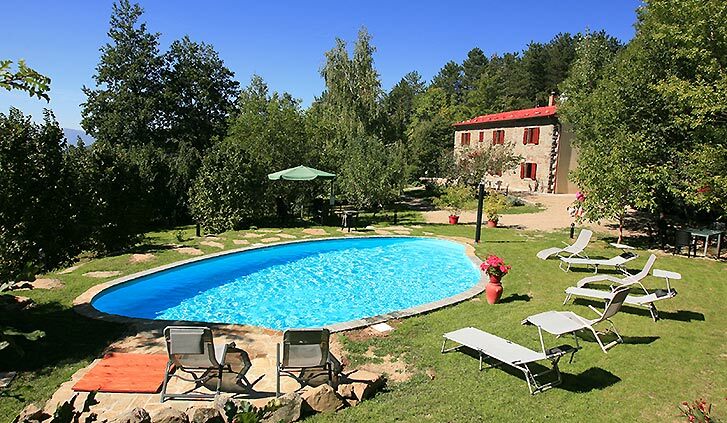 In addition, you will find in the garden a Barbecue area provided with table and chairs. 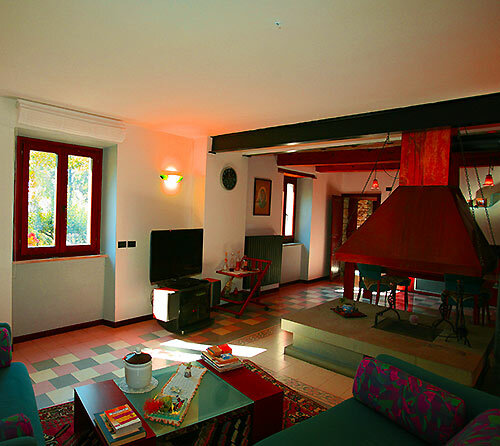 Casa Camaldoli is located in such a place which gives you an extended panorama on the Casentino valley, from Arezzo until Stia. 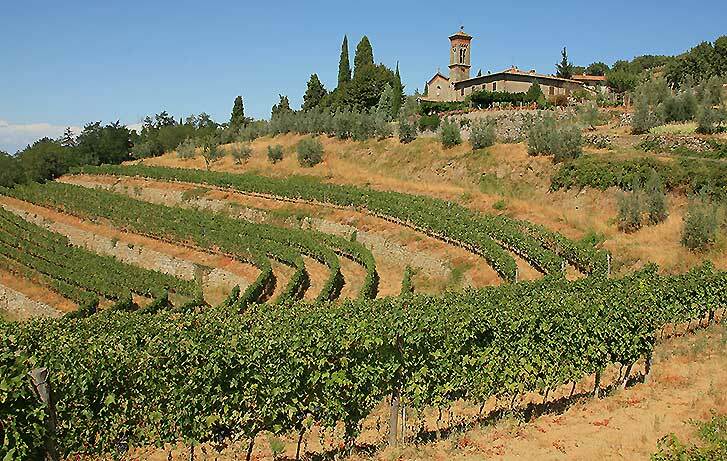 The Camaldoli monastery, which is well worth a visit, is just 5 km drive. Even the monastery of La Verna, where the founder of Franciscan Order Francesco d’Assisi lead a life of pray and solitude, is just 10 km drive. From the property you can reach a restaurant by foot. 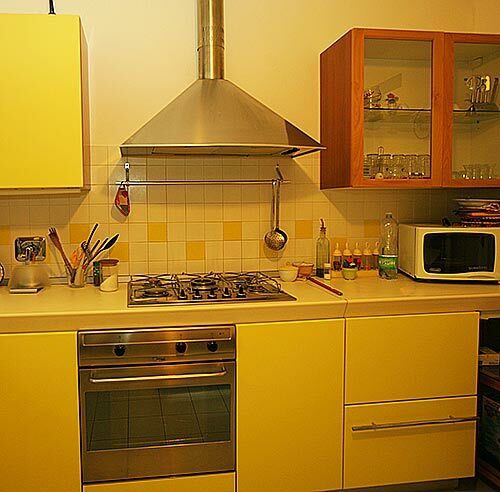 The modern kitchen is provided with everything you need. 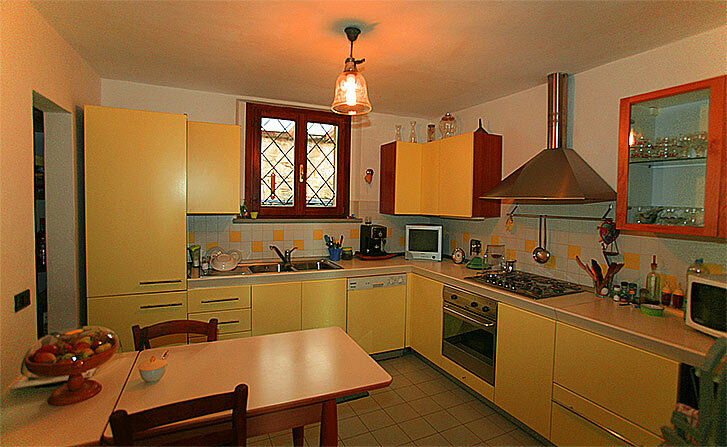 Even 4 people can cook here together a tasteful Tuscan dish comfortably. 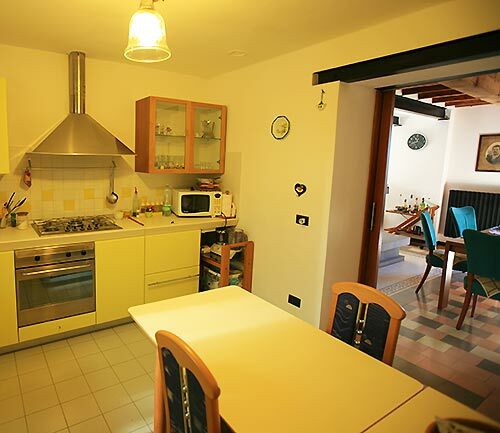 There is a 6 burner stove with a large oven, washing machine, large fridge, microwave, toaster and Italian and American coffee machine. In the cupboards you will find all the plates, glasses, pots and pans you will need to enjoy your delicious meal. 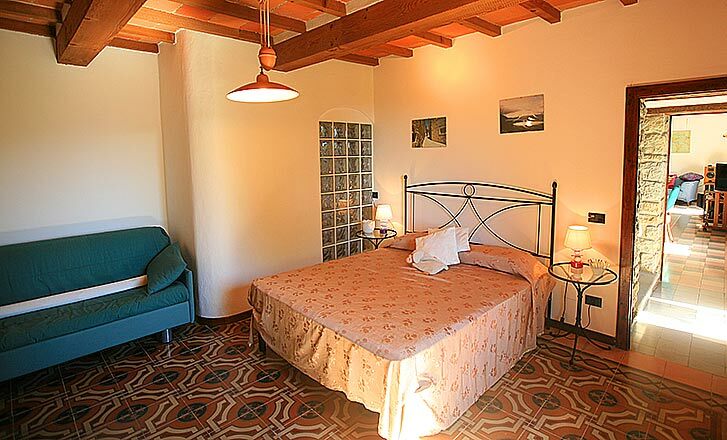 On the ground floor there is a large bedroom with double bed and a sofa bed. In this room there is space enough for 3 people sleeping. 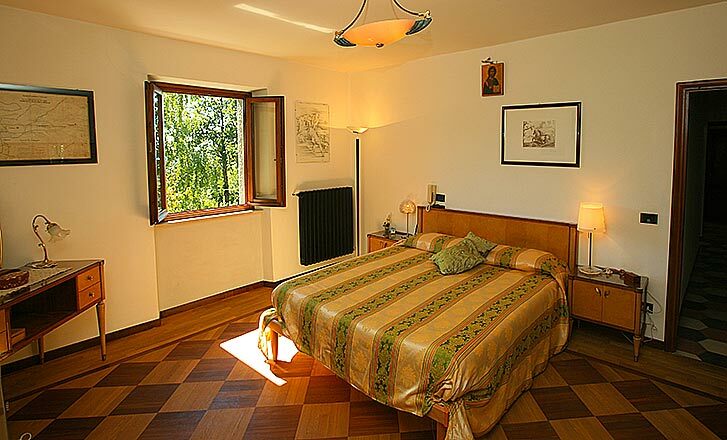 From the bedroom you reach the dining room which has a large window overlooking the garden. 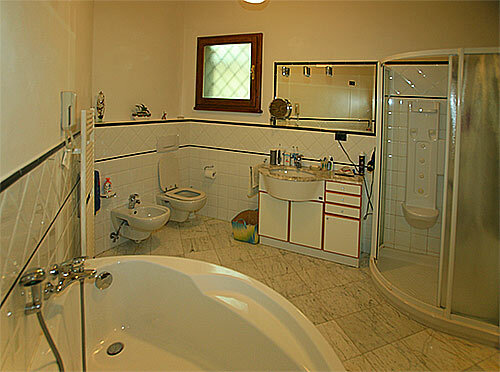 The large bathroom with Jacuzzi bath and shower is right behind the bedroom. 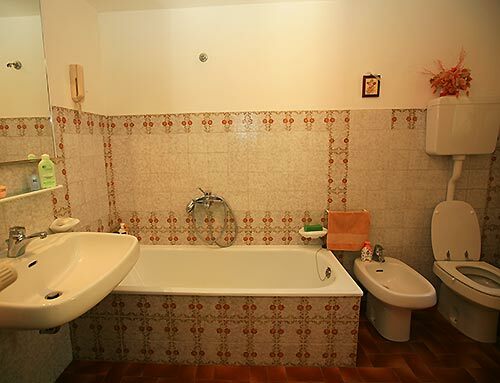 On the ground floor you will find the large bathroom, completely decorated with Carrara marble. 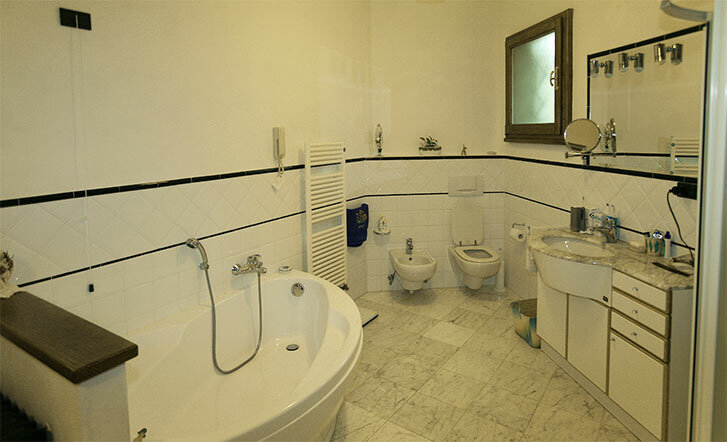 On the left side there is the Jacuzzi bath tub, in front of it the washbasin in Carrara marble and the shower, which has space enough for 2 people and is provided with a massage water jet system. 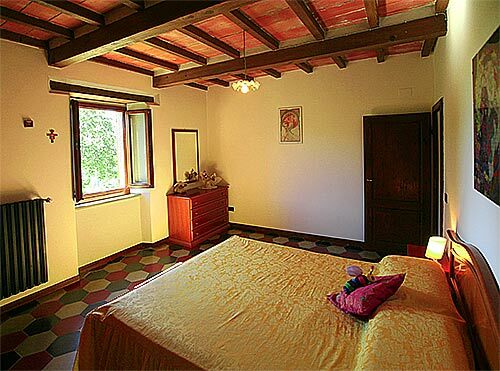 On the first floor there are the 3 spacious and bright bedrooms. Upon request it is possible to add an extra bed, as well as a baby bed and a high chair. 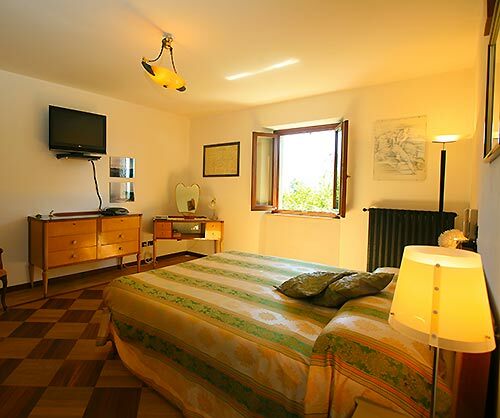 Each bedroom has windows to the front side of the house, from where you will enjoy the view over the swimming pool and the beautiful green valley. 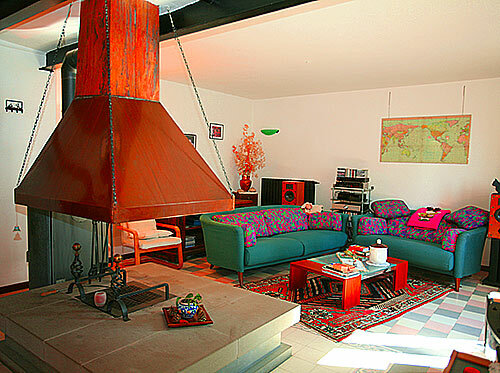 One bedroom has a television, just in case you can’t agree on which TV program you want to watch. The house has an original wood burning pizza oven. 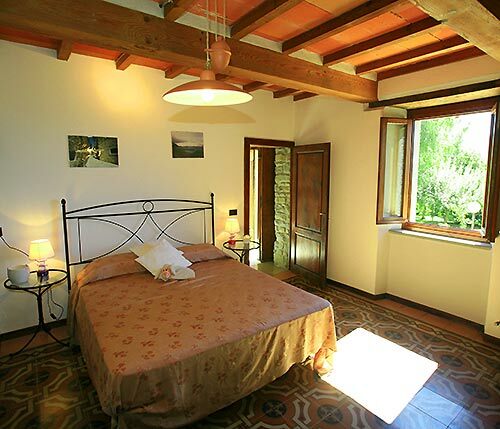 Whenever you want to make a pizza at the Villa , this is not a problem, the owner will provide you with firewood , as well as instructions for the procedure of heating the oven. The self-made pizzas from the pizza oven always taste at best! A real experience, especially for the kids. Bring your computer. Internet speed is subjet to local service provider!